It's easy to get the best in Embedded Computing technology. We offer extremely competitive prices for superior quality products. Find a distributor or sales representative near you, or contact us through email, the web, phone, or fax and get a quote right away. We accept orders by fax (650) 810-2520, email (salesorders@diamondsystems.com)), and U.S. Mail. Please provide billing and shipping address information, user contact information, quantity and model number of each item ordered, requested shipping method and date (if other than same day), and resale certificate number if ordering from within California for a non-taxable use. To order with a credit card, please complete the credit card form and email as an attachment to salesorders@diamondsystems.com. 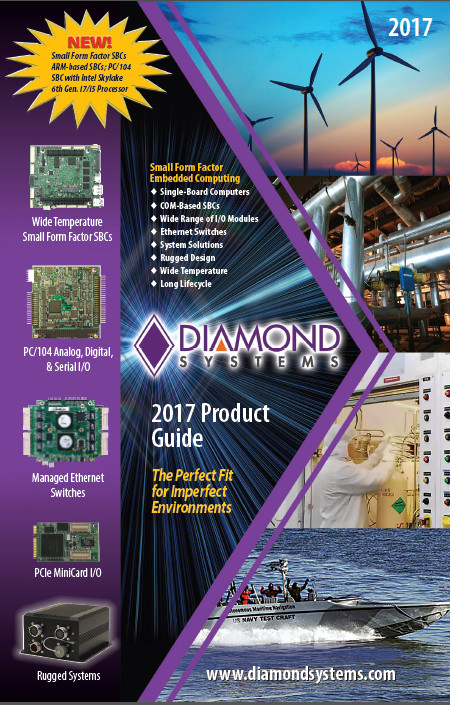 Diamond Systems has resellers and distributors available in many areas of the United States and worldwide -- use our guide to find your nearest distributor. Most of our products are available from stock for shipment in small quantities on the day of order. For large volume OEM orders, leadtimes will apply; please call for details and scheduling requirements. Same day shipping availability is subject to change according to payment method. We ship FOB Sunnyvale, California via UPS Ground, unless otherwise specified. Shipping charges will be prepaid and added to the invoice. On COD orders, we will calculate the total shipping charges and advise you of the total invoice amount at the time of shipment, or if you prefer, we will calculate the total charge at the time of order. For U.S. orders, we accept payment by Visa, MasterCard, American Express, Discover Card, or cash in advance. Net 30 terms will be extended to customers with approved credit; please call for requirements. For international orders, we require payment in advance by Visa, MasterCard, Discover, American Express, wire transfer or check in U.S. funds drawn on a U.S. bank. For wire transfers, a wire fee will be added to the invoice total. Please contact us for bank information. Net 30 terms can also be extended to international customers with approved credit history; please call for requirements. If you wish to establish credit terms, please fill out our Credit Line Application Form. The credit line application will take two to three days to approve. To read the sales terms and conditions click here.